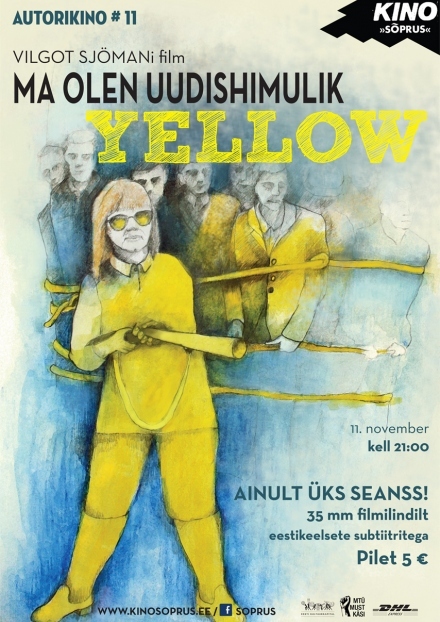 Silja Paulus: movie "I am Curious – Yellow"
The movie of Vilgot Sjöman „I am Curious – Yellow“ (Sweden, 1967) at Cinema Sõprus. Maybe this is how the protagonist Lena from „I am Curious – Yellow“ thought. The girl had an insatiable hunger for something new. In the 1960s, socialism was finding its ground in Sweden and although Lena probably didn’t understand it very deeply, at least not seemingly, she absorbed all the ideas into herself like a sponge and rushed onto the streets to protest. The walls of her tiny room are full of newspaper cutouts, especially about political events. And the heavy boxes full of folders and files. Odd how a young woman has so many files about her own life and how she documents everything, like the men she has slept with, announcing to her new lover that he is already number 24. Does this feverish urge for collecting lead to understanding? Can Lena touch the more complex areas of the human soul? The fact that in the end she destroys her room in anger and tears all the posters off the walls is a clear indication that understanding requires something more. But maybe this is all seeming. It’s a metafilm, a film about making a film. The further we step in this film journey, the more we can get a glimpse behind the scenes and there are men with cameras. The events that we just witnessed were just an act and the reality is something else. 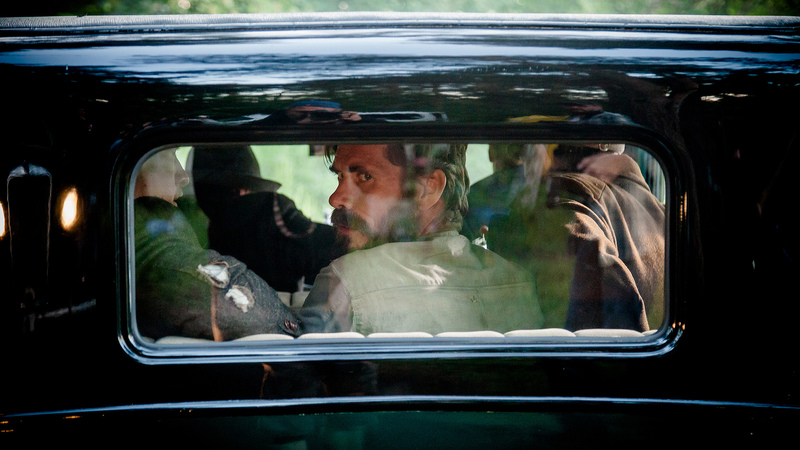 In this way, the film truly plays with our perceptions of the real. There is a dramatic turn that leaves us wondering and the next moment we already see the cameras, telling us that this was just staged. The line between reality and film is in every aspect thin because most of the characters are using their own names. For instance, the actress who plays Lena, is Lena Nyman. This film is on the other hand only one version of the story, the yellow version. A year later, in 1968, the blue version came out and its events take place before and after the yellow version, giving the situations a whole new perspective and frame. Yellow and blue form a whole, or the Swedish flag, thus being a rather interesting picture of life back then when society was still evolving and finding its right direction. In fact, this film is about a country’s as well as an individual’s search for oneself. First, they dive into the collection phase with enthusiasm and everything new seems more valuable than gold, and then they face a crisis, which is one of the most important moments. Whether an individual or a country has managed to deal with their evolution, becomes apparent after coming through the crisis. The winner is the one arising as a phoenix after being burnt. After all, there is nothing much we can do with just the ashes. Margus Univer: Did I come to the cinema to be entertained or to ponder about racism?